Stereoscopic pioneers NVIDIA has been doing its up most to stop 3D becoming a dirty word and the graphics powerhouse has done just that with it's Nvidia 3D Vision 2. From 3D hardware to content, there are so many duff offerings but NVIDIA knows that PC gamers are the perfect punters to swirl around in the stereoscopic rabbit hole. In that sense, its new NVIDIA 3D Vision 2 glasses and the compatible Asus VG278H flat panel with LightBoost-certified desktop display are the best 3D solutions for gamers on the market – bar none. NVIDIA's marketing team seems to have listened to feedback from gamers and completely rectified all the issues it had with its first generation of mass-market 3D glasses. The 3D Vision 2 glasses still use active shutter 3D tech but are 20 per cent larger, block more background light out and more comfortable on our face for extended gaming sessions. I have a massive bonk anyhoo so spectacle slippage during sweaty gaming sessions was never a problem but, for smaller nozzled folks, NVIDIA has added firmer rubberized different grips. Do they look cool though? Of course, that's a resounding no but we can't imagine too many PC gamers give a rat's rawhide about the fickle winds of fashion. Let's just say they aren't the new black. In the bundle, NVIDIA includes a USB cable to charge the glasses, which only takes a couple of hours and lasts for hours of gaming. There's also an external IR receiver so they don't have to be plugged in. If, like us, you already had the first NVIDIA solution, you'll be pleased to note that everything is backwards compatible. That means we could use the IR receiver we already had and could just pay out £99 RRP for a single pair of glasses, or, you could buy the glasses and receiver for £149. IF that sounds expensive, when you consider the alternatives for consoles and other multimedia 3D products, you'll realise it is the cheapest way by a long shot. Here's the science. The glasses have NVIDIA's advanced active-shutter tech inside and the killer update is Lightboost tech. We always lost detail in the hazy grey 3D output from the old 3D tech but the new glasses offer twice the brightness. To work properly, this has to be supported by a compatible flat panel and that's why we tested them on the stunning Asus VG278H. Now that wouldn't be worth the back of the stamp it was written on if there wasn't a wealth of 3D content to write home about. Fortunately, NVIDIA gamers have an embarrassment of riches and worked in partnership with games developers to make sure next gen 3D gaming is optimised for the best possible playback. 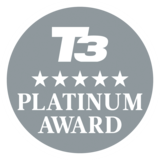 There are over 550 3D games we can play on full HD and, while the 3D playback is varied on different titles, the ones that are top certified like Battlefield 3 and Batman Arkham City are worth the price of entry alone. You do need enough juice under the hood to game at full 3D HD with all the bells and whistles on. Battlefield 3 and Batman Arkam City are visual candy par excellence and we were lucky enough to have an NVIDIA white box system with 6GB, Intel's flagship core i7 processor and with two GeForce GTX 580 cards hooked up in SLI mode. That meant we could pump everything up to 11 and what a ride Battlefield 3 is. It's not the perception of things popping out the screen, it is the neat way the 3D Vision 2 glasses offer unparalleled depth and the developers used neat tricks on foreground, middle ground and background to offer a stunning sense of gritty immersion. We were also happy to play with the 3D slider at fill tilt and had no headaches to report after long sessions. We did experience minimal ghosting but that was easily rectified by turning the 3D down and we can vouch that the Lightboost tech is a big winning point for NVIDIA. The cheapest we could find the Asus VG278H flat panel was £565 from Expansys it is a little over-priced but still a great monitor. How add the Lightboost tech, which really did make a huge difference, and this is a five out of five product. 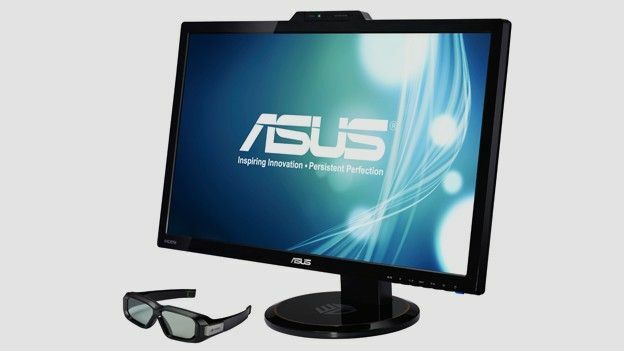 Combined, the NVIDIA 3D Vision 2 glasses and Asus VG278H flat panel are five star products. NVIDIA's new 3D tech juju with Lightboost is a brilliant update from the graphics company and complement beautifully by the gorgeous Asus VG278H flat panel. OK, it's still not going to be for everyone, but for PC gamers staring in to the third dimension, it is the best 3D solution money can buy.